The Sariska tiger reserve is a heady mix of a pristine wildlife and medieval structures. 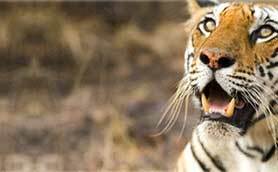 Tucked away in the Aravali Ranges of the state of Rajasthan, Sariska tiger reserve acquires an area of 800 sq km. Rocky hills, cliffs, dry deciduous forests and grasslands make up for a diversified landscape, a befitting habitat for a variety of wildlife species. Though, Sariska national park has been a shelter for numerous species of mammals, birds and reptiles, it is widely known for its highest density of peafowl and rhesus monkeys. From a sanctuary in 1955 to a national park in 1979, Sariska tiger reserve has witnessed a lot of wildlife conservation measures and happens to be one of the most frequented in the northern India. A visit to the Tiger Reserve of Sariska is mandatory to gain an insight into the wildlife riches of India, particularly of the northern part. Steep rock faces and narrow vallers of the Aravali Mountains dominate the landscape of the Sariska National Park. 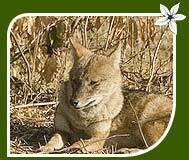 Wildlife fanciers need to spend a couple of days at Sariska to enjoy the variety of sights and sound that the national park offers. Whether its the carnivores that you are looking for or its the herbivores that matter the most to you, the Sariska National Park has a good population of it all. 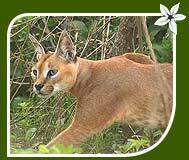 Most commonly sighted carnivores include leopard, tiger, jackal, wild dog, sambhar, chausingha, chital, nilgai, wild boar, jungle cat hyena etc. Avian species can also be spotted in good number at Sariska. Bird watchers can watch species like peafowl, bush quail, sand grouse, grey partridge, Indian horned owl, crested serpent eagle, tree pie, golden backed woodpecker etc. Do visit the Kankwari Fort which lies within Sariska tiger reserve park. Mughal emperor Aurangzeb used the fort to put his brother Dara Shikoh behind bars. Another interesting sight inside the sanctuary is the ancient Shiva temple. The temple belongs between 6th and 13th century AD. 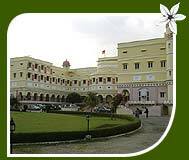 Also remember to visit the Sariska Palace which was built by the maharajas of Alwar. Presently, the palace serves as a heritage hotel. So, you can also plan your stay here. Jaipur, the capital of Rajasthan, is at a distance of 107 km from the Sariska National Park. The Sanganer Airport of Jaipur is well connected with important cities like Delhi, Mumbai, Jaipur and Jodhpur, aside from a few international destinations. Alwar, 37 km away, is the closest railhead from Sariska. From the railway station, you can hire a taxi to get to the national park. 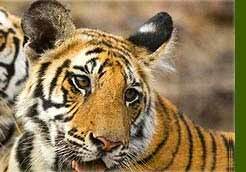 The wildlife sanctuary of Sariska lies on the Delhi-Alwar-Jaipur highway. Tourists can also take deluxe and semi-deluxe buses from Jaipur to Sariska. Delhi is well-linked to Alwar by road. Staying at the jungle lodges of Sariska is a wonderful experience in itself. Stay close to the pristine flora and fauna and enjoy modern amenities. Your options are as follows.